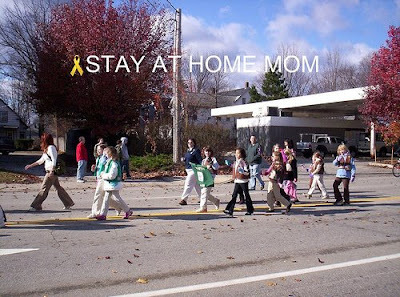 STAY AT HOME MOM: WW 34 "Veterans Day Parade"
Hope you can visit mine. Nice photos. It looks like she had fun at the parade. Happy WW! Mine is up. What great pictures! She is definitely a cutie!!! I love these pictures! What a great thing these kids did! wow, you had a parade? That is great!!!!!!!!!!!!!! How cool that your daughter's troop was in the parade. Happy WW! Great post. 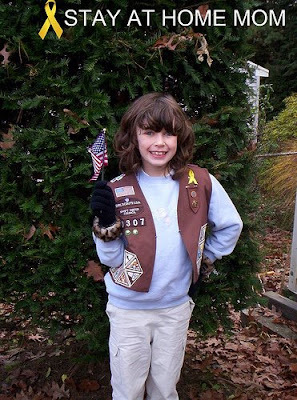 I was a girl scout too for a long time. I guess I was a daisy when I was around 5 and then I didn't leave girl scouts until I was a junior and around 12. I love that school and/or girl scouts get involved in special days like this. Great, great post. Awww! My daughter and her troop used to march in a similar parade where we used to live. I sure do miss that! Well i just got back from town and now I am trying to make the rounds. These shots are so nice and fit right in with the week. Your daughter is lovely. And it is just super that she was in the parade. It is great to see our children participating in these types of activities. Veteran's Day a very important day for this country to honor our past and current veterans. These brave men and women have put their lives on the line to protect our freedom. God Bless America!